Transport, logistics and rural supply company Lindsay Australia has announced a new agreement for packaging giant Visy Board Pty Ltd as its new principal supplier of transport for Visy’s packaging products. The new agreement took effect today. Lindsay Australia said it was managing the transition for customers to ensure supply is uninterrupted and business impacts are minimised. A spokesperson for the ASX-listed Lindsay Australia said the new strategic partnership with Visy was in line with the Company’s growth goals and “strengthens the Company’s end-to-end logistics, packaging and rural products solution for the horticulture sector”. Lindsay Australia has terminated its Distribution Agreement with Orora Limited for the supply of packaging products, replacing it with the long term agreement now reached with Visy Board Pty Ltd. Orora is a ASX-listed spin-out from Amcor, Visy’s main rival. Lindsay Australia Limited is an integrated transport, logistics and rural supply company. It has major interests in distribution of fresh produce around Australia from a Brisbane base. With an extensive east coast network of 33 stores and depots, and more than 1,000 employees, the group’s major activities include road transport, logistics, and warehousing services and specialist services to rural suppliers, with an emphasis on the horticultural industry. These services are fully integrated to provide an “end to end” delivery package. 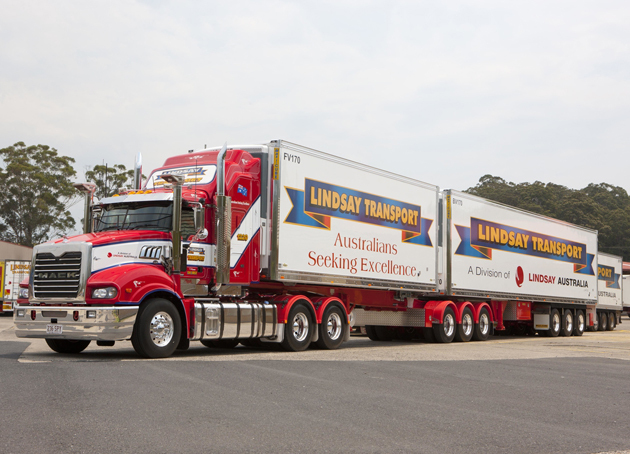 Lindsay Fresh Logistics is a recent addition to the Lindsay Transport operations located in the Brisbane Markets that provides unloading, cross-docking, storage, ripening, fumigation and import/export services. Operating since 1948, Visy is one of the world’s leading packaging, paper and recycling companies. Visy employs over 5,500 staff and operates in over 120 sites across Australia, New Zealand, Thailand and Vietnam and trading offices across Asia, Europe and the USA. Visy also has a ‘sister’ company, Pratt Industries USA, which employs a further 3,500 staff in North America. Visy also offers recycling solutions and runs collection and recycling services across Australia and New Zealand. Lindsay Australia will expand its logistics business as a key supplier to Visy Board Pty Ltd, transporting packaging from manufacturing sites to customers, which will create warehousing and logistics synergies for both companies. “The partnership with Visy Board Pty Ltd is good for our growers and our business, which means it is also good for our shareholders,” said Kim Lindsay, Managing Director of Lindsay Australia. “The partnership is an important part of our growth strategy to provide horticulture customers with competitive end-to-end solutions covering, logistics, packaging and transport,” he said. “Visy Board Pty Ltd is delighted to be given the opportunity to partner with Lindsay, a long-established, premier and successful supplier to agri-business throughout Queensland, New South Wales, Victoria and South Australia,” said John Wheeler, Visy Board Pty Ltd Chief Operating Officer. “Lindsay will be a key logistics supplier to Visy Board Pty Ltd and will generate warehousing and logistics synergies for both companies,” he said. “Together, Lindsay and Visy Board Pty Ltd will offer our customers a logistics, packaging and rural products proposition,” Mr Wheeler said. AmazonFresh’s entry into Australia has been “overplayed” says market research firm, IBISWorld.